Legendary Browns QB will discuss and sign his new book on Wednesday, Dec. 13, at Mentor Public Library. The one and only Bernie Kosar is visiting Mentor Public Library to discuss and sign copies of his new book, Learning to Scramble. 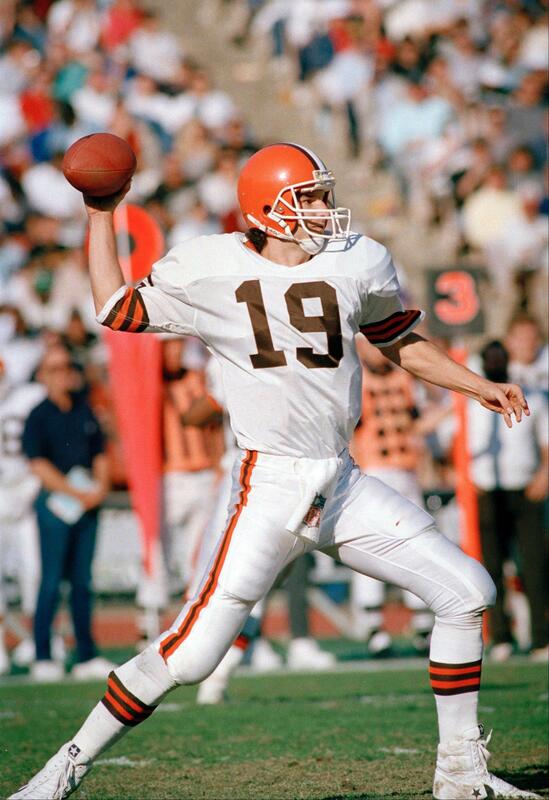 Learning to Scramble tells the story of Kosar’s blue-collar childhood in Youngstown, his successes on the field with the University of Miami and Cleveland Browns, and, finally, his physical, marital, familial, and financial struggles after his career ended. Kosar’s autobiography is an unvarnished look at his talents and trials. He’s coming to MPL’s Main Branch at 6:30 p.m. on Wednesday, Dec. 13. Kosar will talk about his life, as well as sign the first 200 copies of Learning to Scramble that are purchased at the library and pose for photographs. However, Kosar will not be signing sports memorabilia. The event is free and open to all. However, you’ll want to register ahead of time to make sure you get a seat. You can sign up online or call the library at (440) 255-8811 ext. 216. This entry was posted in Uncategorized and tagged Bernie Kosar, Cleveland Browns, football, learning to scramble, Mentor Public Library. Bookmark the permalink.